Though we are still enjoying the warm, late-summer weather, the cold of fall and winter is right around the corner. This means snow and ice isn’t far behind, so now’s the time to consider a set of winter tires. But what are winter tires and why do they matter? Winter tires are just what their name implies: tires built specifically for colder temperatures. They not only feature tread designs and other upgrades to handle the slippery stuff, but they also have a special compound to better handle sub-freezing temps. One of the key parts of winter tires are their tread designs. Most tires have specific tread patterns to best handle the conditions they are intended for. Summer tires have large rubber patches with large water ducts to channel rain away from the tread. All-season tires combine the best of the summer and winter rubber, but they do neither as well as their season-specific relatives. Winter tires have very finely tuned tread patterns designed to cut through show and grip ice. This tread often has small rubber studs that stick through the snow for maximum traction. There are also various fine grooves that expand and contract to grip ice and maintain traction. In some areas, these tires also feature metal studs to dig into ice and snow for even better traction. Winter tires go beyond just special tread — they also have a special composition. 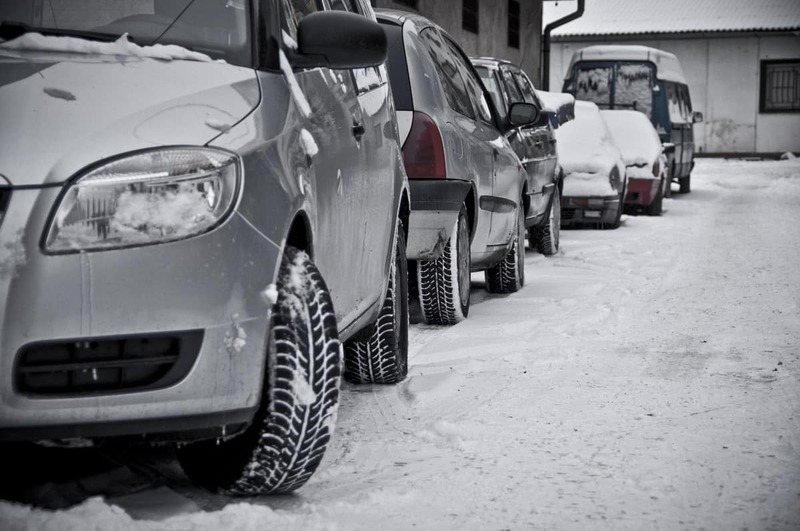 Winter tires are made up of a softer rubber compound to keep them from getting too hard when the temperatures drop. Summer tires, on the other hand, become rock-hard in cooler temperatures, leading to a rough ride and reduced handling. 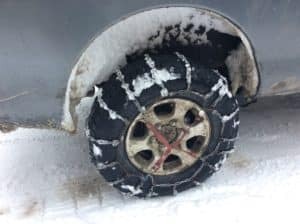 What Winter Tires Do I Need? 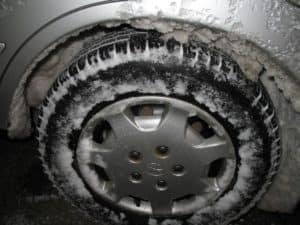 Understanding the type of winter tires you need involves a lot of variables, including your driving habits, you comfort driving in bad weather, and the local climate. If you live in a high-elevation area or in an area where lake-effect snow is common, you will want some of the best show tires you can buy. Look for tires that have plenty of fine grooves to grip the snow and ice with ease. 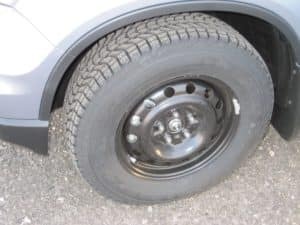 If you live in an area where ice storms are common or just need the added security studs offer, you will want to buy a set of studded tires or have studs installed. Check the local laws regarding tire studs before buying these tires or having them installed. Some areas do not permit studs, but they may allow snow chains. Finally, your comfort level with driving in bad weather makes a difference. If you avoid driving in bad weather like the plague, then stick with just the basic winter tires. But if you are always on the road, high-end winter tires and studs may be the best option for you. Mounting winter tires on your wheels each year and dismounting them in the spring can be costly and time-consuming. 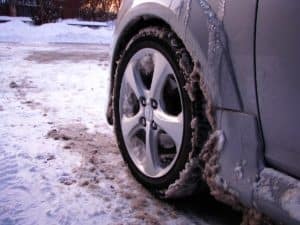 Instead of doing this every season, it may cheaper and quicker to buy an inexpensive set of wheels — black steel wheels are generally the cheapest — and mount your winter tires on these. With your winter tires already mounted, you can just have your preferred shop install the wheels on your car. Heck, you can even install them yourself if you like. Why Not Just Run Winter Tires Year-Round? If winter rubber is so important, why not just keep them on my car all year? While that is a logical idea, you will end up causing more issues in the long run. The first issue is the softer compound that makes winter tires great for colder climates is more sensitive to heat and friction. This can cause the tires to wear out significantly faster than summer or all-season tires. Also, winter tire manufacturers do not create these tires with performance in mind. This means your vehicle will not handle nearly as well as you are used to in normal driving conditions. Pushed too hard, this lack of performance can cause frustration or worse, a potential accident. With winter bearing down, now is the time to look into a set of winter tires. Come by the Garber Honda service department serving Rochester, New York to get a quote for your vehicle.